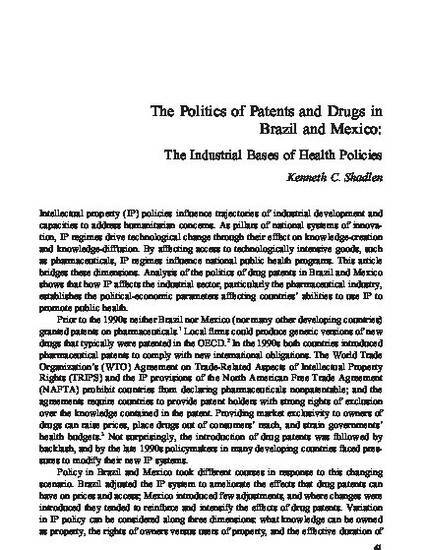 After introducing pharmaceutical patents in the 1990s, Brazil subsequently adjusted the patent system to ameliorate its effects on drug prices while Mexico introduced measures that reinforce and intensify these effects.  The different trajectories are due to the nature of the actors pushing for reform and subsequent patterns of coalitional formation and political mobilization. In Brazil, government demand for expensive, patented drugs made health-oriented patent reform a priority, and the existence of an autonomous local pharmaceutical sector allowed the Ministry of Health to build a supportive coalition. In Mexico, government demand made reforms less urgent, and transformations of the pharmaceutical sector allowed patent-holding firms to commandeer a reform project. The existence of indigenous pharmaceutical capacities can broaden the political coalitions underpinning health reforms.